Everything revolves around emotions for Andrea Martini and it comes with no wonder then that he named his label “Emotive Sounds” when it was created in 2005. Twelve years since its establishment, the label has grown into one of the leading brands in the electronic music scene with releases from over 100 artists, major worldwide support, and a string of chart-breaking releases. Today Andrea and his label Emotive Sounds are just about two weeks away from the first edition of their Relevance Festival, which is co-organised with Ministry of Sound and brings together some of the most in-demand DJs right now, Coyu, Rodgriguez Jr, Huxley, together with Andrea and Ilona Maras playing the warm-up sets. Learn more about Andrea’s rise from a promoter to a successful DJ, producer, label owner and what to expect from Relevance Festival, below. It’s a sunny day in Copenhagen, and I am sitting down with Andrea in the roaring and full of people Meatpacking District , chatting up about the preparations for Relevance Festival (but more about that later). Hello Andrea, it’s a pleasure having you with us on Behind The Decks. Let’s start from the very beginning. How did your music career start? My connection with music begin very early. Actually, I started being a promoter in one of the clubs in my hometown. I have been a promoter for many years and while I was still a student. But I always flirted with the idea of being and becoming a DJ, even though it was more fun being the guy who is welcoming all the girls to the club, giving them drinks etc. (He laughs) but the connection with the club has always been there. How old were you back then? I was very young. I started doing this when I was around 17 years old. When did the transition from being a promoter to becoming a DJ happen? I always produced music and the focus was always to experiment with different sounds. At some point, I decided that it was the right time. I got tired from my first job since I was working for the same company for three years. Furthermore, I quit my job and decided to focus 100% on music. Label owner and producer seem to go hand in hand. The label business often gives the opportunity other people to start noticing you, to search and book you for DJ gigs. All in all, I believe it has been a natural progress. That happened when I decided to quit my job. I came to Denmark because I wanted to study Master in Business Administration. I actually had this idea of starting a record label, a label with satisfyingly strong business side. I applied for a few Universities in different cities and I ended up in Copenhagen randomly. Can you elaborate your music style, how and where do you combine the warmth and aesthetics from? I don’t think that the music is static. Besides, my own taste in music continuously develops. I can totally see myself being closer to the Latin house and rhythm, especially at the beginning of my production career. But now, living in Denmark, I am more exposed to minimalism and the Nordic-Danish aesthetics. Combining these two influences, I think nowadays sounds attractive to the audience. I still like the warmer melodies and sounds, but I also like the rhythmic structure. Do you agree that Denmark influenced your sound and way of producing music? Definitely! I would say that I am exposed to influences I wasn’t exposed before to. But at the same time, my Italian culture allows me to combine different influences, making it a better position to be in. How would you compare the different clubbing cultures from Denmark to Italy, the way people party and go clubbing and what do you think are the strong sides of the Danish scene compared to the one in Italy? There’s a big difference, at least from my experience. In Italy we have some big clubs. The local club where I started working when I was a kid had 1200 capacity which for Denmark would be a huge club. The size definitely affects the relationship you have with the DJ guests. In Denmark we are used to have smaller venues and more intimate parties, which is nice in a different way – you have a better connection with the crowd and your fans. I like both, it’s just that the approach is different. What does it take to be part of Emotive Sounds? What qualities are you looking for in a track in order to be released on your label? When I started Emotive Sounds man years ago I didn’t have a clear idea of what direction I wanted to follow so we have been through different ways of choosing sounds – we were experimenting with almost everything but now I think we are finally settled. We like music that is challenging, music with melody and soul. We also decided to limit the number of production releases and also the number of artists we work with. Even though we always try to find space for new producers, we also want to keep it as a family. At the moment, we have productions mainly from myself, Ilona Maras, Dempsey Massy. What does Emotive sounds have in store for 2017? We will keep doing what we are best at. We have new releases from myself, Ilona Maras, Dempsey Massy so the schedule is not as packed this year. but we have the program for the releases for almost the rest of the year. Apart from that, we are going to keep expanding the brand with more events. At the moment we are focused on organising our new project – Relevance Festival and for the first time we are having our own stage at Copenhagen’s legendary Distortion Festival. Do you have anything special planned for the future as an artist? That is a secret, haha. All those other activities kept me away from the studio in the last couple of months but I somehow managed to schedule some nice collaborations that I am working on. Like I mentioned, I would like to keep it confidential for the moment. All I can say is that I am trying to discover and develop more local Danish talents. Your Radio show has been on air for over 4 years now. What does the future hold for it? The next edition is going to be 78, so we are approaching the 100th edition soon! We have to find something cool to celebrate that! The show itself is very successful, it’s broadcasted on 30 radio stations all over the globe. The structure that we have works really well. Basically we are diving it into three sections. Sections which are reflecting, what I was telling you about earlier, the musical influences that I have. The first one is more groovy, then we explore deeper the techno world and at the last part of the show, probably my favourite, the part where I can play around with more experimental music. So this structure is working very well for us and we will continue with it. What is the main idea behind Relevance Festival? The idea came from the observation that Denmark has a great scene with a lot of cool and good artists and producers, but limited connection between all the players. I was thinking that we need somehow to get together and have a platform, where we can meet, discuss, party together and do something that is more ambitious. This is why the Relevance Festival is divided in two parts, the one dedicated to spreading the knowledge about the electronic music industry and the party itself. It’s intended to be a hub platform for everyone, who is interested in electronic and club music to get together, to contribute, be inspired and network. How did it come about to co-organise Relevance Festival with Ministry of Sound? I had connection with Ministry of Sound for years. We made some collaborations through my productions for my label which ended up on their compilations. For this particular project, Relevance Festival, I met in Ibiza with the event manager of Ministry of Sound and he was asking me about the scene in Denmark and what is happening here? I explained what I was working on and he said that it sounds really exciting and how would I feel about them supporting the project and being part of it? Of course I said yeah, let’s talk about it! It’s great to have such an established brand to be interested in our market and scene, and to have them on board for Relevance Festival. Of course this depends on different factors, including the end results of the festival, but do you think you can continue collaborating with Ministry of Sound on promoting music in Denmark and organising more events in the future? They are great partners, and I have very good personal relationships with them. It’s a pleasure to work with them and I definitely see this as a long-term partnership. What was the motivation behind selecting these artists (b.a. Coyu, Rodriguez Jr & Huxley) as headliners for Relevance Festival? We wanted to have some of the best names in the scene for this event, but we also wanted to have people representing different school so to speak. Coyu coming from and representing the Southern European techno scene, the school of Joseph Capriati, Uner and other. Rodriguez Jr although French, he is signed to Mobilee and has a more Berlin sound. And Huxley, the hottest name coming from the UK at the moment. They represent three different angles of exciting club music and I think they are the best at what they are doing. Ilona Maras is another DJ, who will be playing at Relevance Festival. Tell us more about her for the people, who are not familiar with her? Ilona is great! She is one of the main artist as I told you previously, on Emotive Sounds. We met last summer in Ibiza and we were hanging out, when she said oh btw here is a usb stick with some of my productions, if you have time have a listen. After listening to her tracks back in my hotel, I was blown away to be honest! I called her back and I told her how great I think her productions are and if what are her plans about the tracks? I later signed all the productions on that usb stick! Her first release ‘Orphan’, which I also decided to remix myself went really well. It was played by everyone, and got her featured on DJ Mag as one of the hottest talents. She is a great DJ, great person and of course she had to be part of Relevance Festival. Is it a one time project or something you want to continuously develop and build as a brand and a festival over the years? This is definitely a long-term project. The first edition is the difficult one! We still have to develop the brand and make people aware of it and our ideals. We spent a lot of time developing it and we definitely expect this to grow in the next few years. It is a long-term project to which we are very committed and it’s the festival brand connected to Emotive Sounds. What are the goals behind the talking panels, which you are co-organising with Strøm Festival from Denmark? To say first, we want Relevance Festival to be something for the community so it’s not an ego-trip for us. It’s about getting all the players in the scene together, getting to know each other better and how we can help each other grow. This is our contribution to the scene. Sharing knowledge, connecting people and showing that everything about dance music can be done in a professional way. Do you see the collaboration with Strøm Festival as a continuous one? Strøm is a very established brand and a festival in Denmark, running for over 10 years so far. They wanted to be part of our project and offer their expertise and experience, for which we are extremely happy. We are definitely considering to work with them on the next editions of Relevance Festival as well as extending our joint program. They are amazing partners to have on board! And one last question. What is your message to the people attending Relevance Festival and also the ones who are thinking of going? Why should they go? A line-up of this quality doesn’t happen that often in Denmark. If you want to support the community and you want it to grow, you have to show commitment. Joining Relevance Festival is a statement, because the people who already have bought their tickets, keep in touch with us and they tell us it’s incredible that we are doing something like this for the local scene. They support us and they understand our message. For us it’s about that – understanding the message and if you care about the scene this is the place to show it. For more info and to buy tickets for Relevance Festival click here. 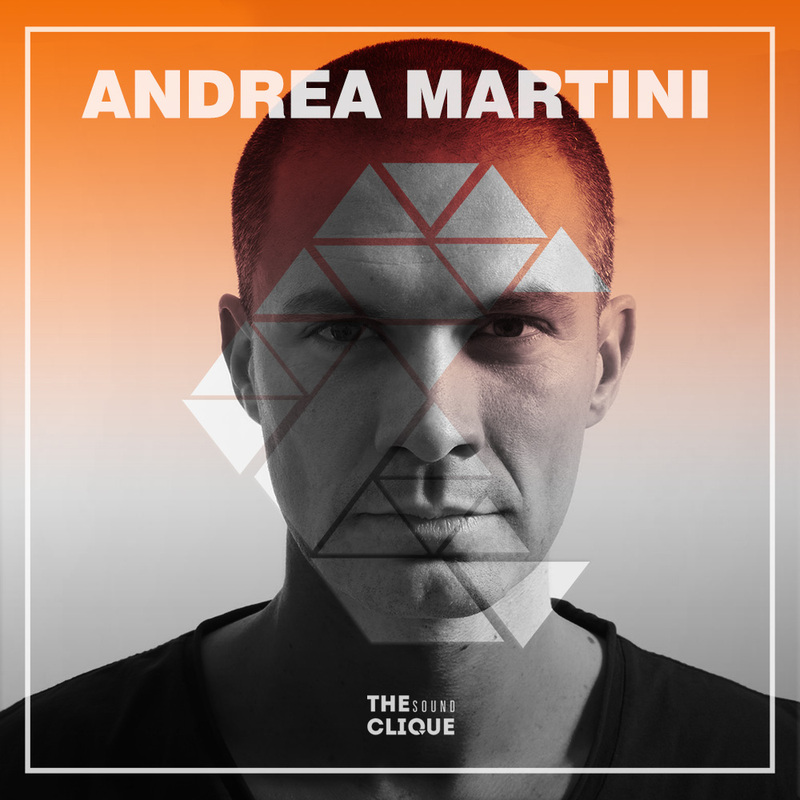 Connect with Andrea Martini on Facebook and SoundCloud. Connect with Emotive Sounds on Facebook and SoundCloud.